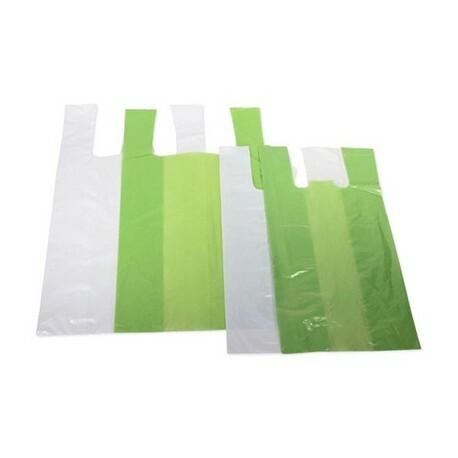 EUROSANEX offers its new range of 1 KgÂ t-shirt bags packsÂ made of high quality and resistance plastic. 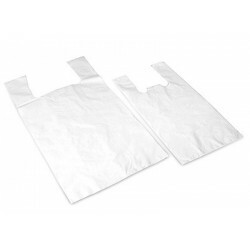 1 Kg white t-shirt bag pack - Â 42 x 53 cm gauge 140. 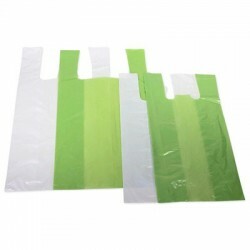 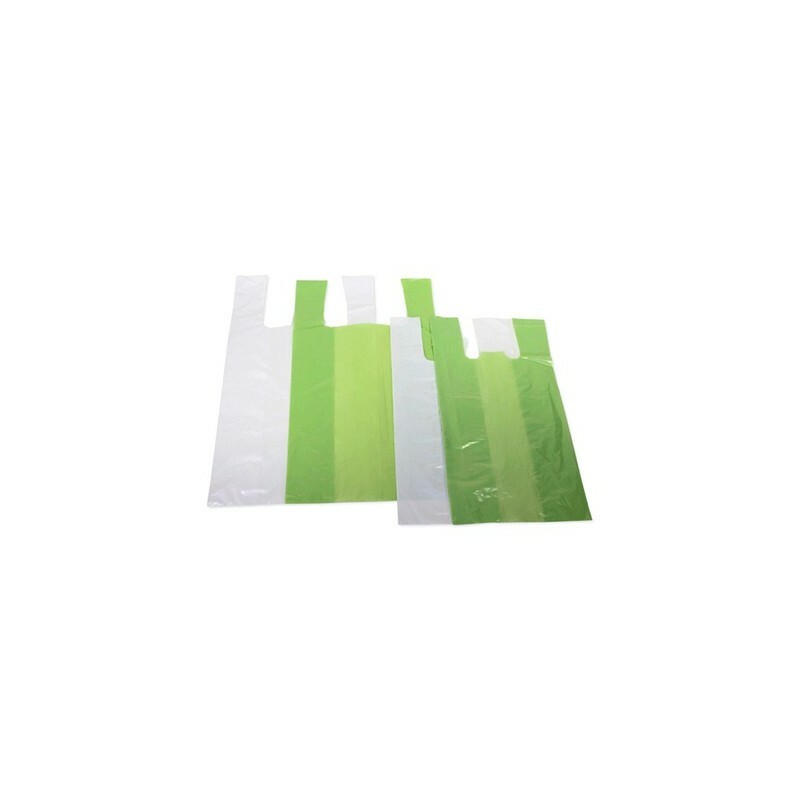 1 Kg green t-shirt bag pack - Â 42 x 53 cm gauge 140.